Samsung's new app helps visually impaired people keep both hands on a guitar. Learning to play guitar poses unique challenges for sight-impaired people. Their practice sessions are frequently interrupted as they refer to braille instruction books for the correct chord progressions. Of course, audio courses are available, but those can be pricey and difficult to navigate. 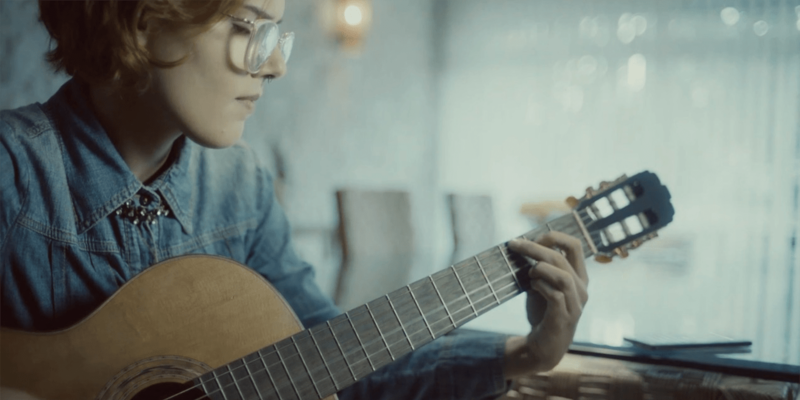 To address such issues, Samsung and Cheil developed a free guitar instruction app that verbally signals chord changes during 30 songs, allowing students to keep their fingers on the frets. In recent years, Samsung Brazil has challenged its agencies to improve accessibility and enrich users’ lives through technology. That charge has led to devices such as Theater for All Ears, from Leo Burnett Tailor Made, which helps deaf people experience live performances. Apparently, the approach used for the resulting Audio Chords app isn’t readily available on other instruction platforms. “We have not found anything like that, nor did the visually impaired community while we were developing the project with them,” Lima says. In addition, unlike other audio courses, “We developed the app to be 100 percent accessible, so if you turn on the voice guidance on your phone, you navigate perfectly through the lessons and functions,” he says. Available on Google Play in Brazil, the Portuguese-language app works exclusively on Samsung phones. Those without Samsung devices can still use the technology via a website accessible to the visually impaired.